Roger Federer blamed troubled preparations for his US Open quarter-final exit on Wednesday, saying he had spent most of the time leading up to the year's final grand slam worrying about his back injury instead of focusing on training. 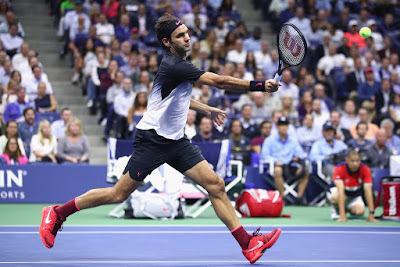 The 36-year-old Swiss, who was chasing a 20th major title and was hoping to play Rafael Nadal for the first time in Flushing Meadows in the last four, lost to Juan Martin del Potro 5-7, 6-3, 6-7 (8), 4-6 in a thrilling encounter on Arthur Ashe Stadium. 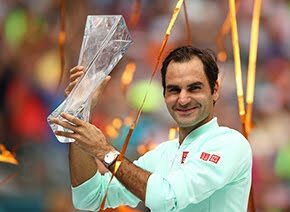 But it is one disappointment in a season of many highs for Federer, who won his 18th and 19th major titles at the Australian Open (d. Nadal) and Wimbledon (d. Cilic). 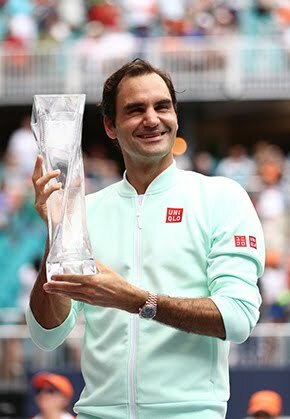 Considering where he was this time last year, injured and unable to play for the second half of the season, it is with clear perspective that Federer was able to process the defeat. “Of course, you're always disappointed when you lose in the very moment,” said Federer. “It's terrible to think of what lies ahead, packing bags, going home. It's just annoying as a tennis player. It's just not the fun part. You'd rather think about how you're going to relax tonight and have a massage and think about the match, think about the great shots you hit. “Now you see all the bad stuff. And it's just not so much fun. It should hurt, and it does, rightfully so. But, I think my perspective at this age and with the season that I have had is easier to grasp faster. So I'll be fine quickly. First hampered by his back in defeat to Alexander Zverev in the Coupe Rogers final in Montreal, Federer was then forced to withdraw from the Western and Southern Open in Cincinnati in a bid to make sure he would be fit for the US Open. It denied him the chance to go up against Nadal for the No. 1 ranking and also sewed seeds of doubt into his mind going into the US Open. The right-hander fought his way through two five-setters against Frances Tiafoe and Mikhail Youzhny in the first two rounds, but appeared to have settled into the tournament with straight-set wins over Feliciano Lopez and Philipp Kohlschreiber to reach the last eight. However, Federer admitted he never felt in control of his own destiny, especially against del Potro, who had beaten the Swiss in the 2009 final at Flushing Meadows. “It was one of those matches where if I ran into a good guy, I was going to lose, I felt,” confessed Federer. “I don't want to say I was in a negative mindset, but I knew going in that I'm not in a safe place. Might have depended too much on my opponent, and I don't like that feeling. I had it throughout the tournament, and I just felt that way every single match I went into. “I didn't have that feeling at Wimbledon or at the Australian Open, and that's why rightfully so I'm out of this tournament, because I wasn't good enough, in my mind, in my body, and in my game to overcome these three pillars. The season is far from over for Federer, though. After the chance to rest his body, the Swiss will look to go full throttle in his last four tournaments - in Shanghai, Basel, Paris and the ATP Finals in London - to attempt to finish the season on a high note, and maybe even wrest the No. 1 spot from Nadal’s grip. “I regret that I didn't get the opportunity to fight for World No. 1 in Cincinnati,” said Federer. “But that's maybe also part of the process, and I'll be fine even without No. 1. I have had a great year thus far.